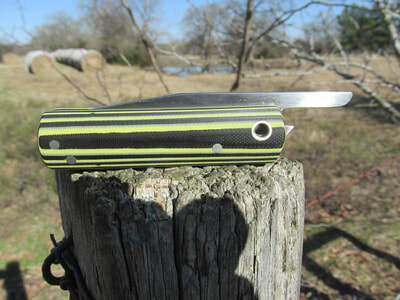 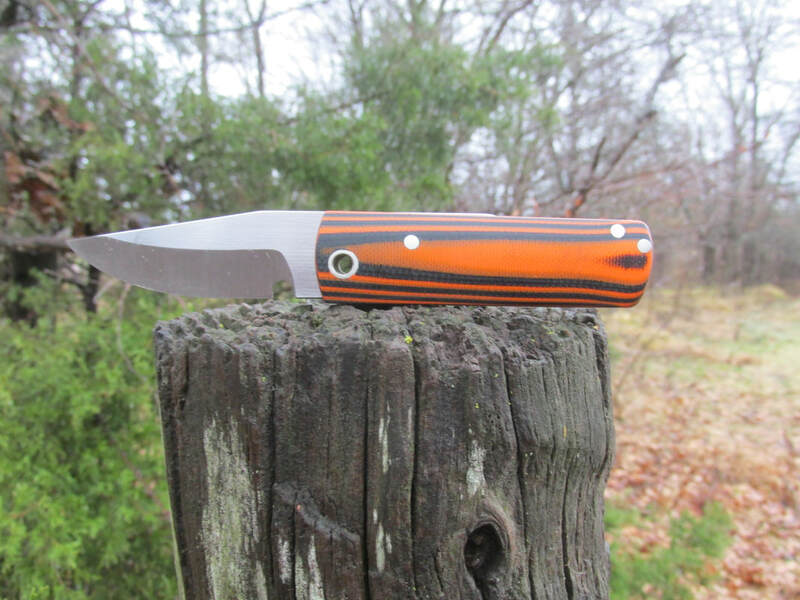 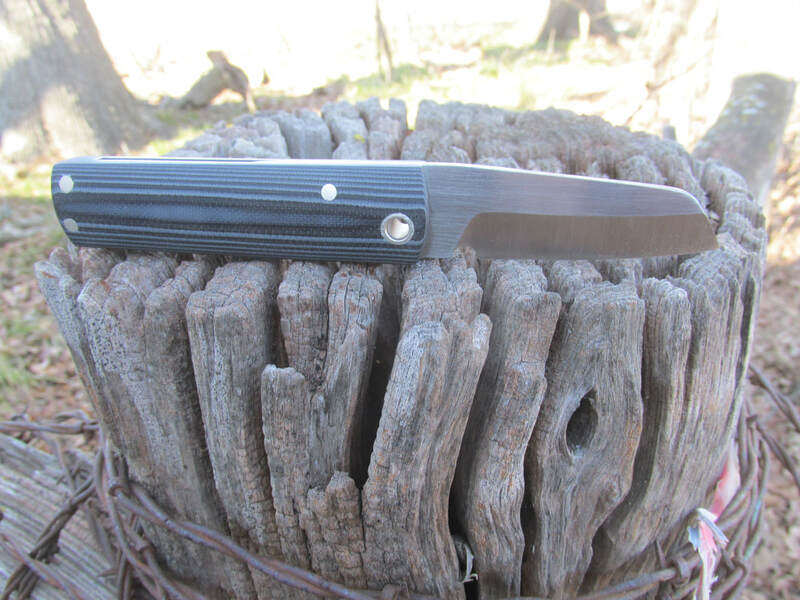 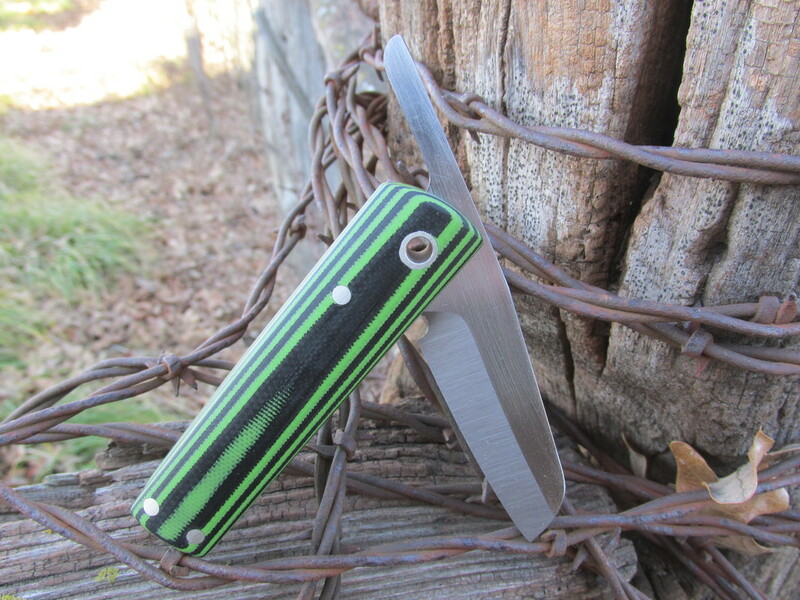 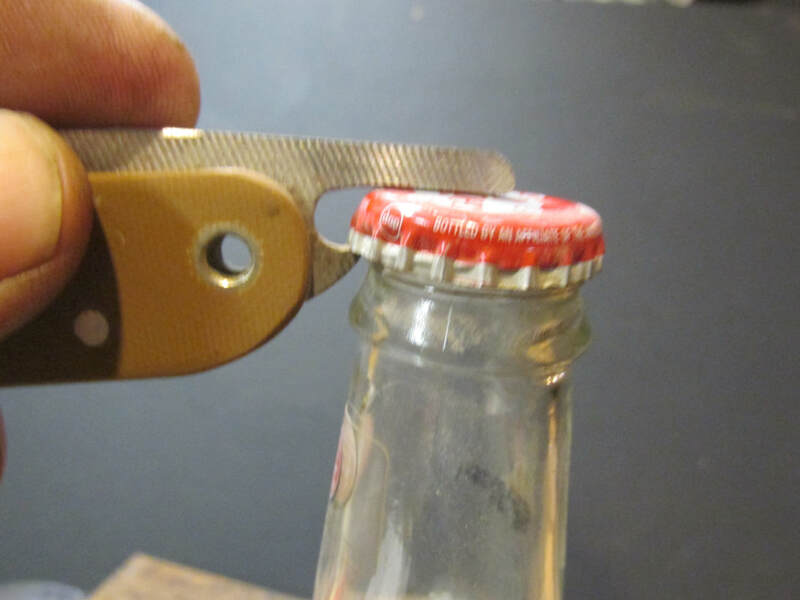 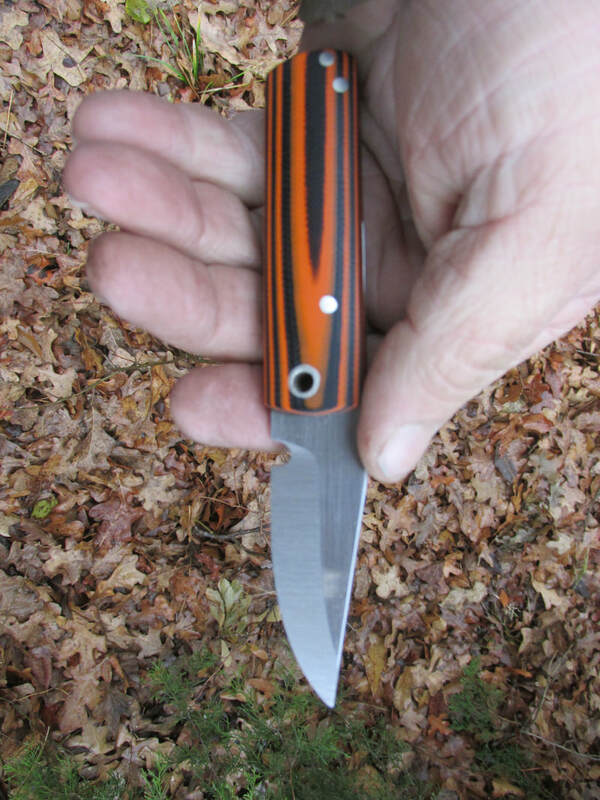 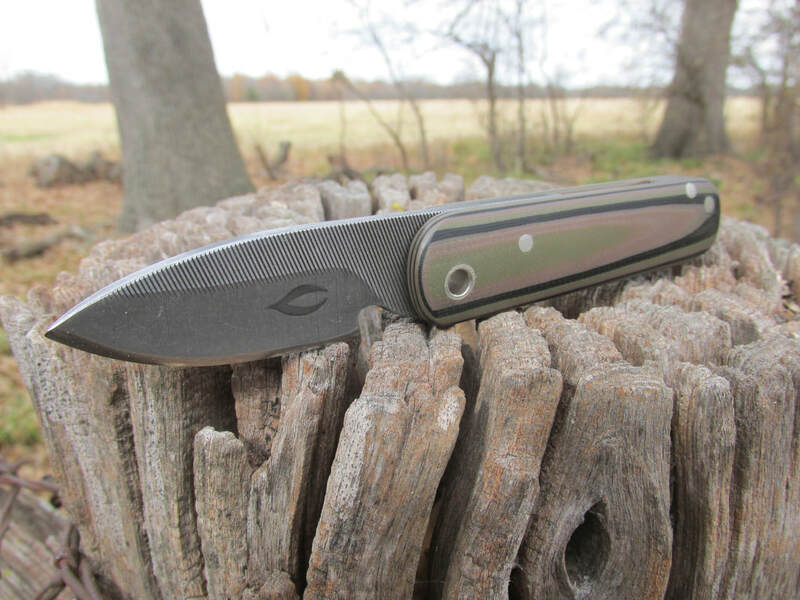 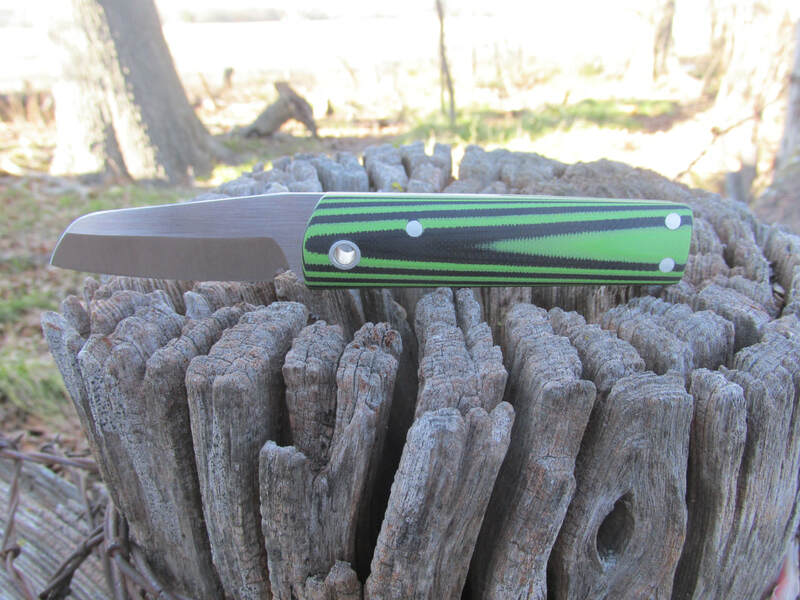 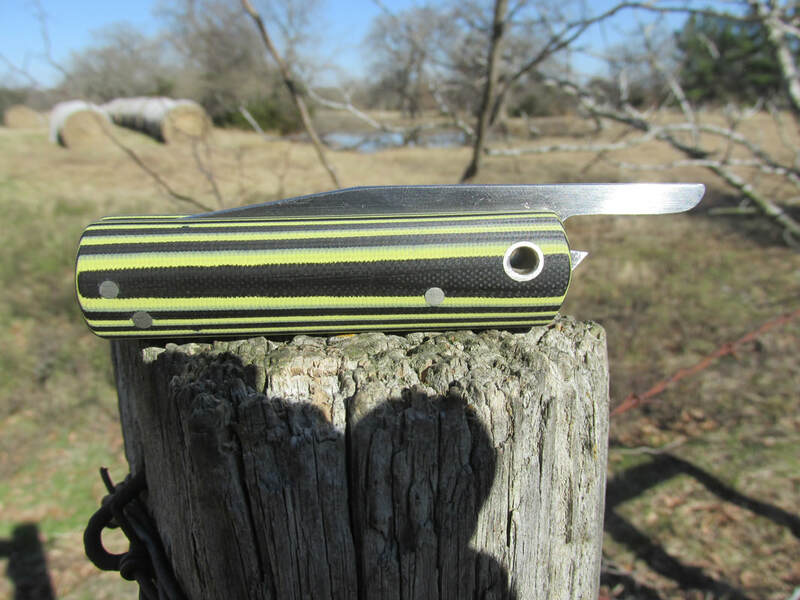 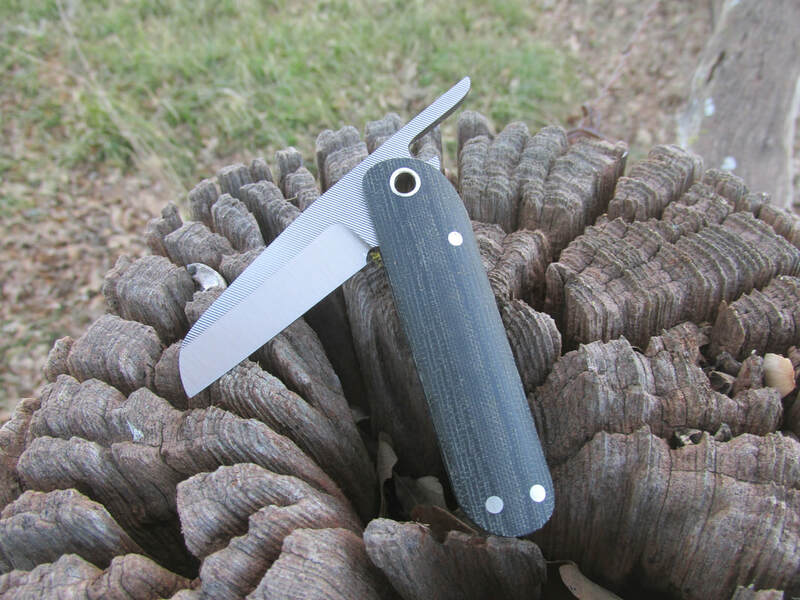 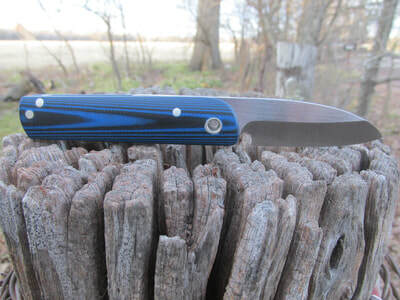 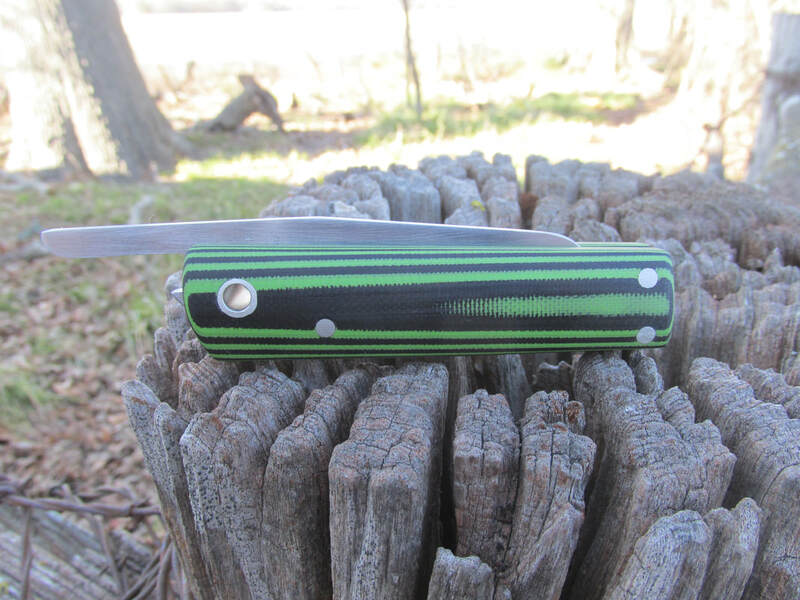 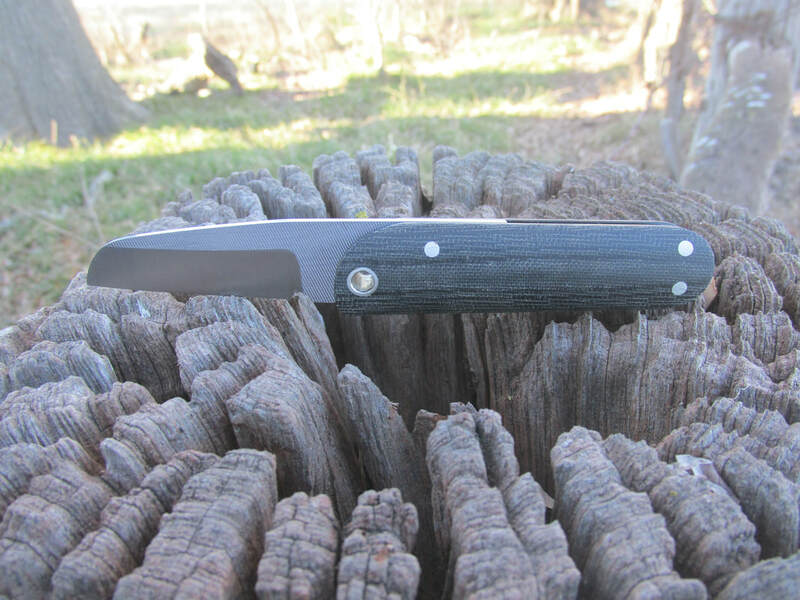 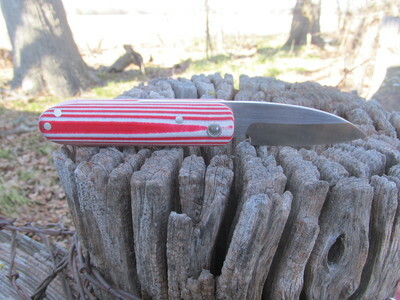 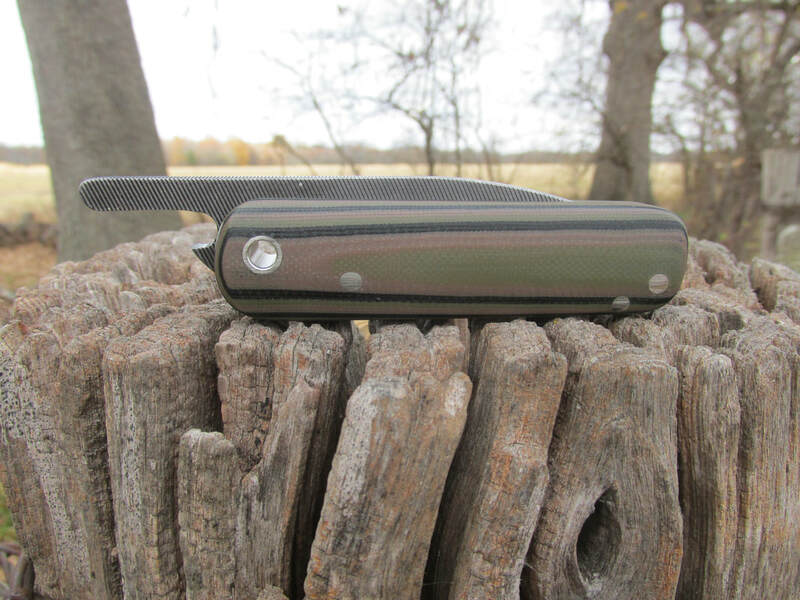 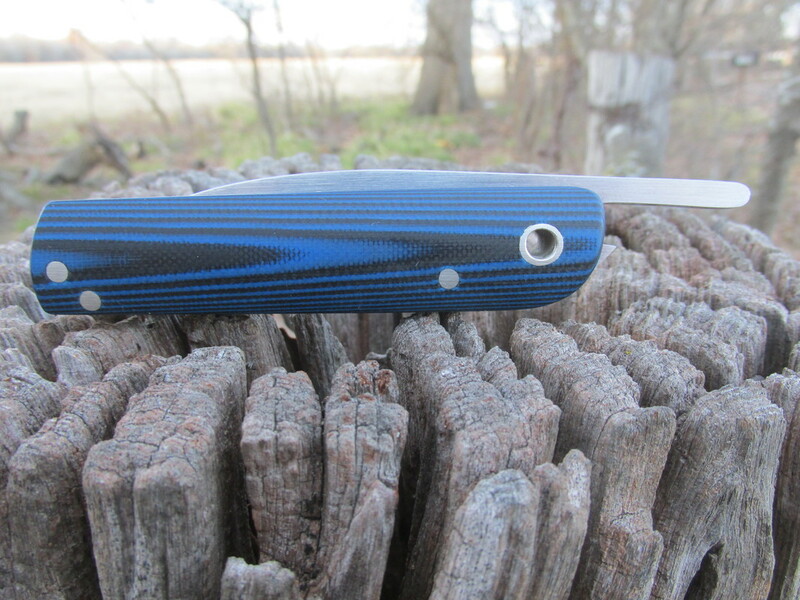 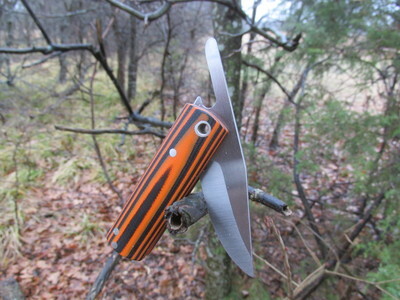 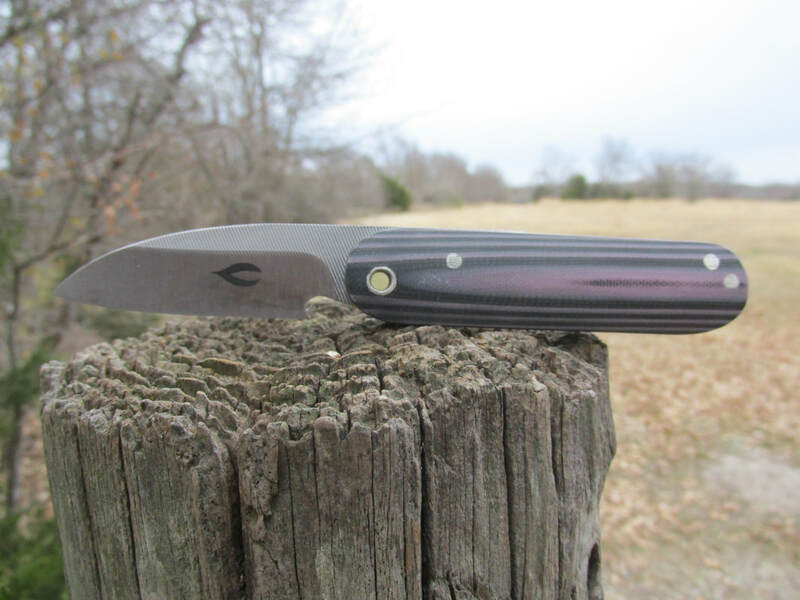 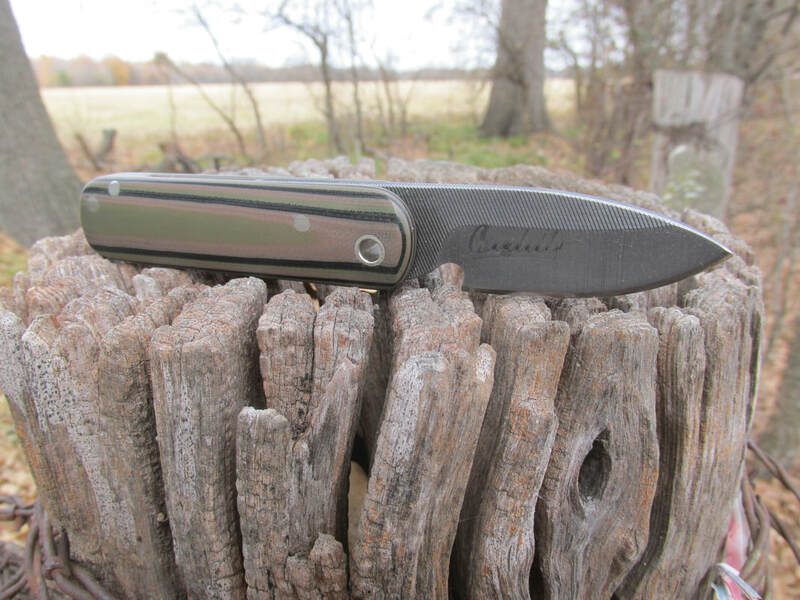 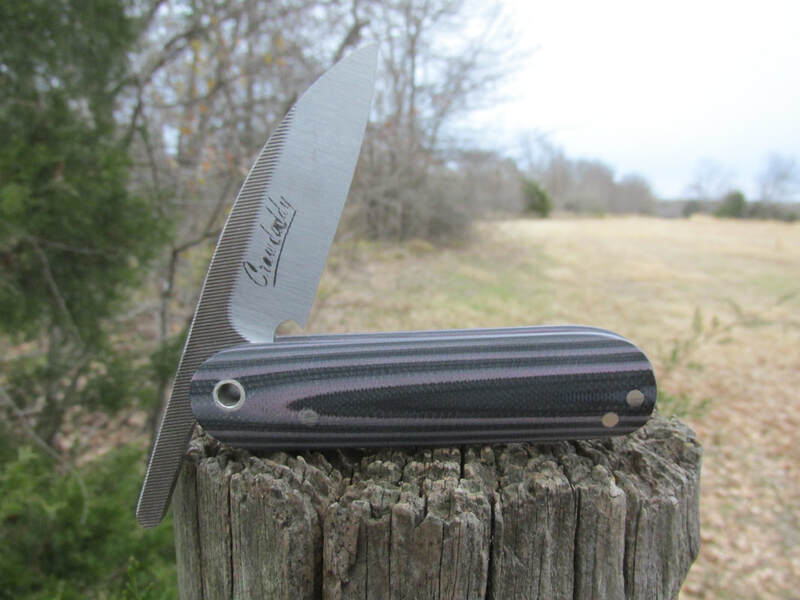 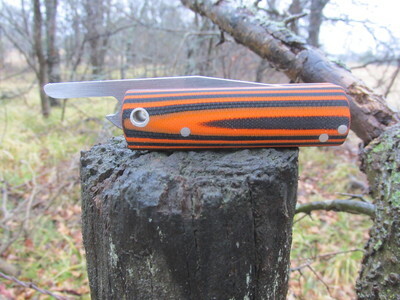 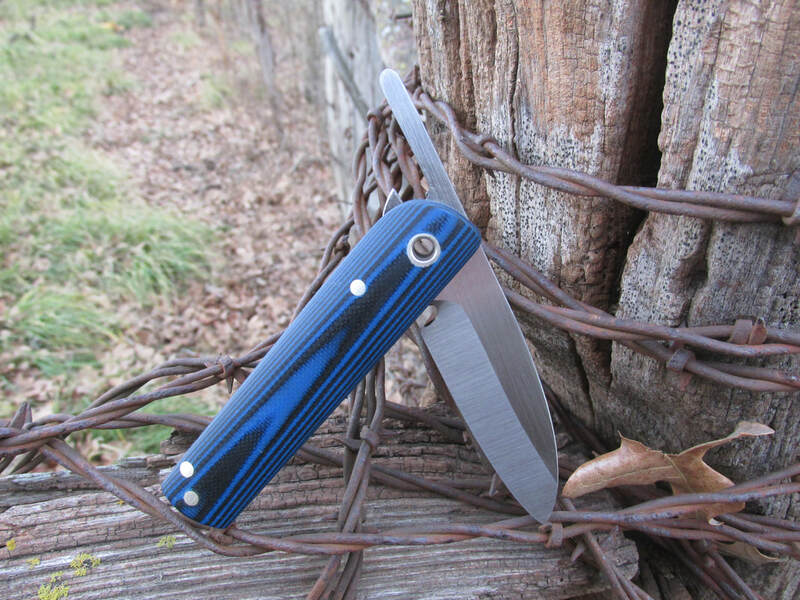 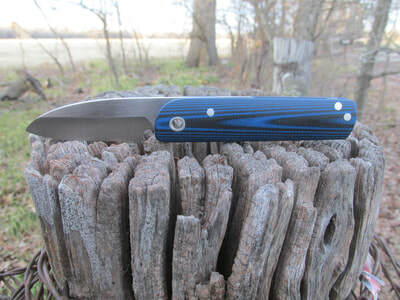 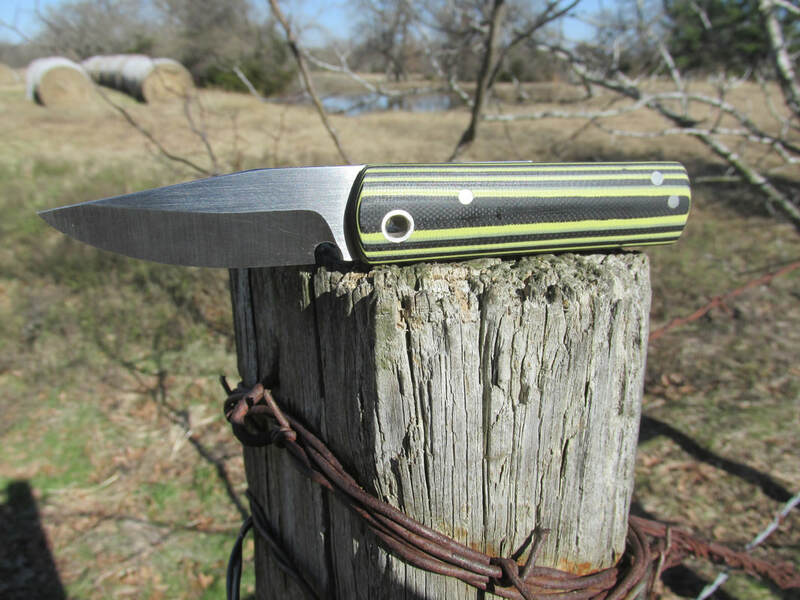 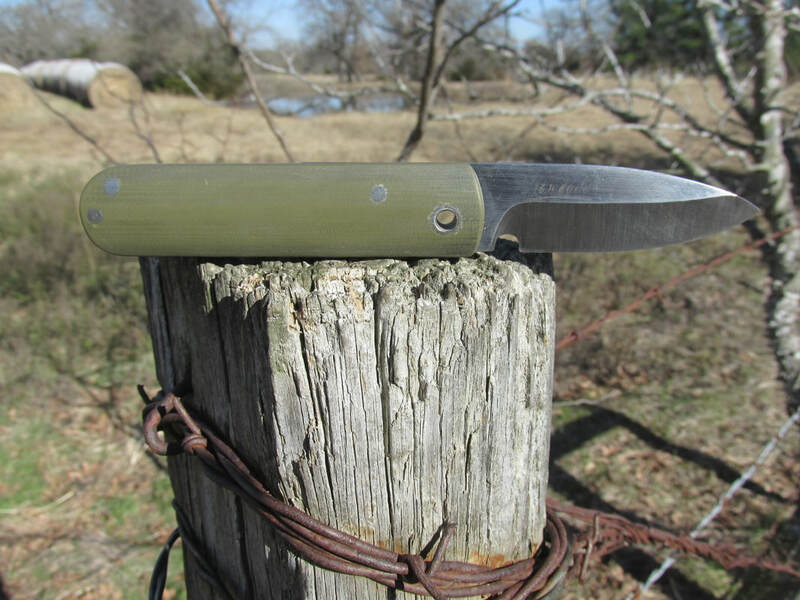 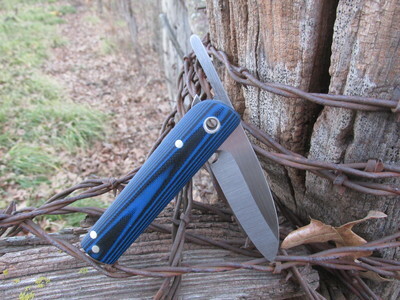 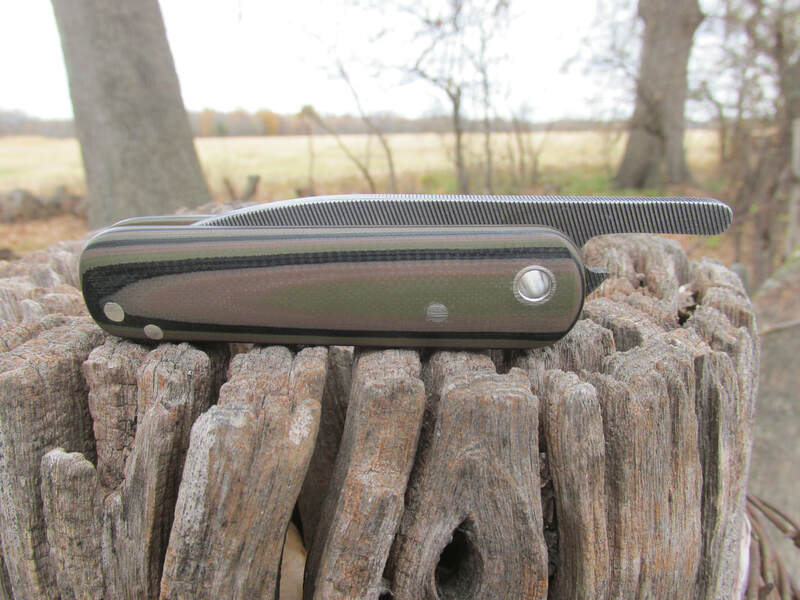 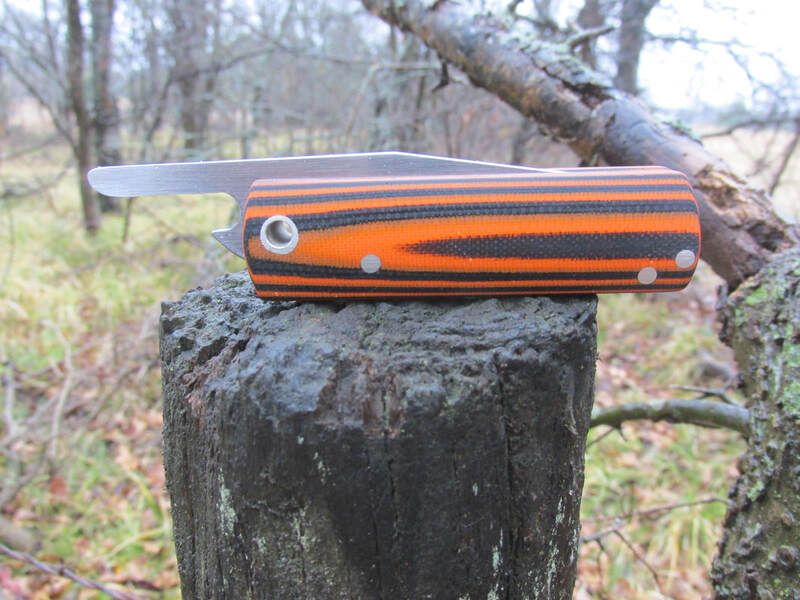 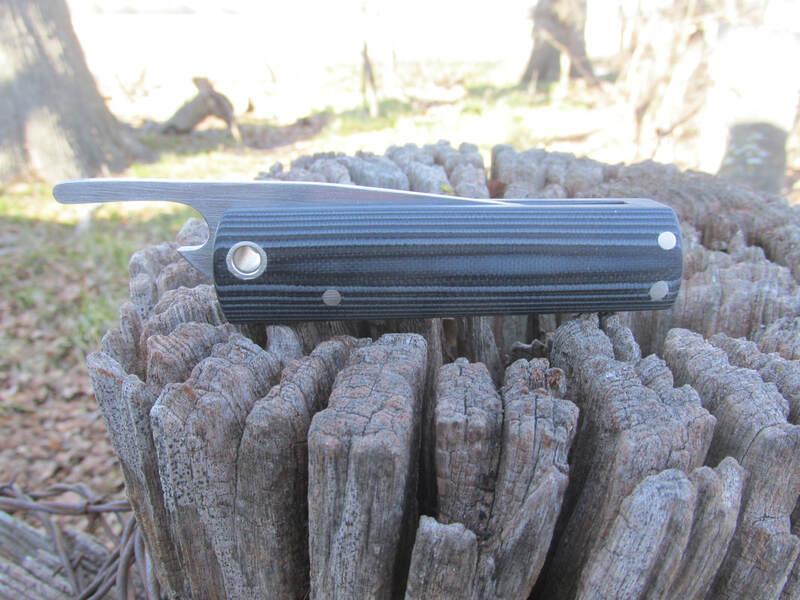 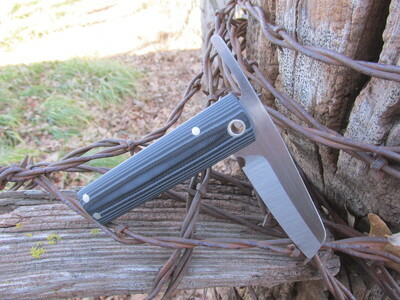 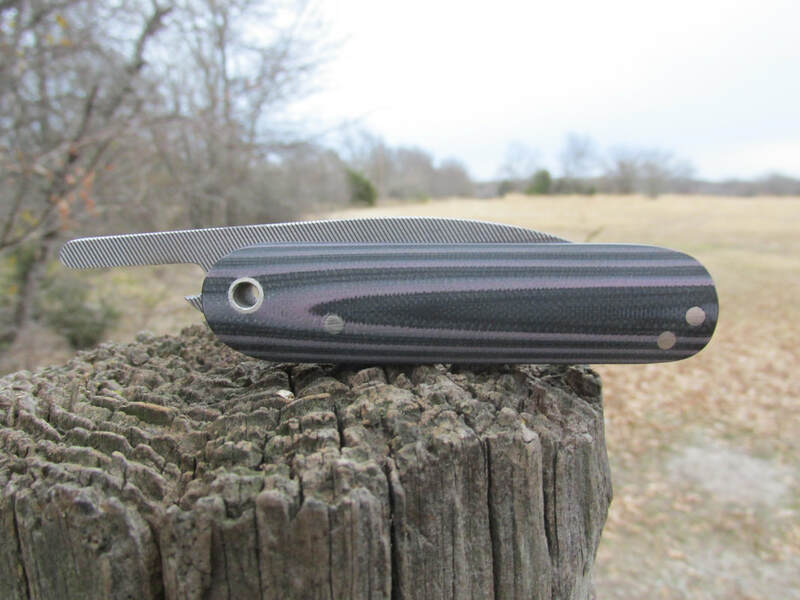 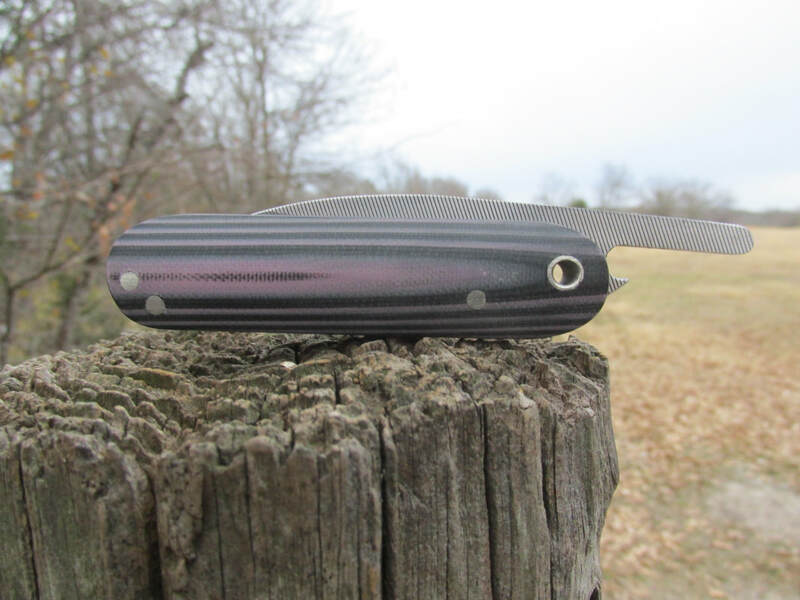 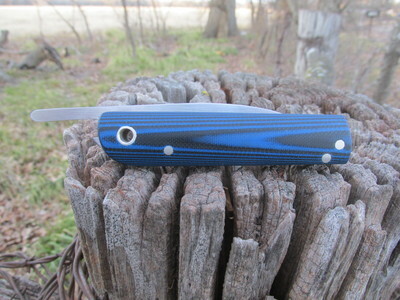 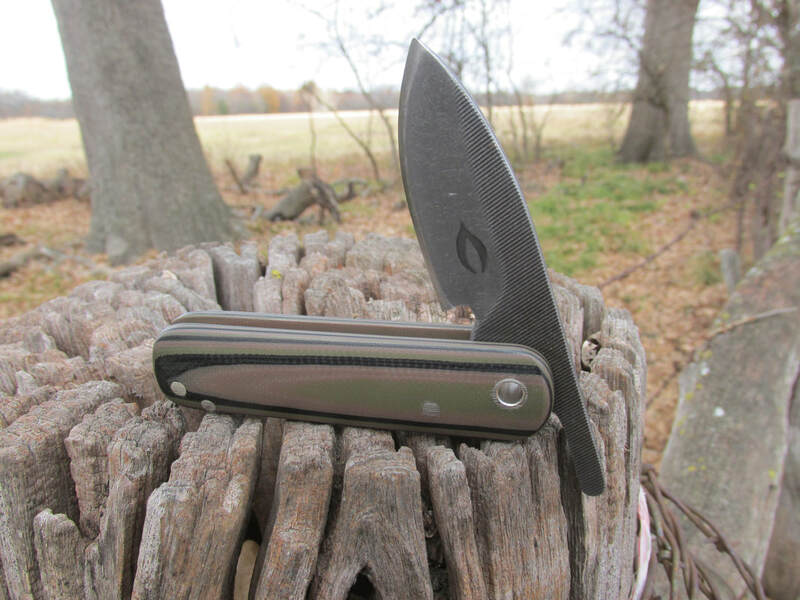 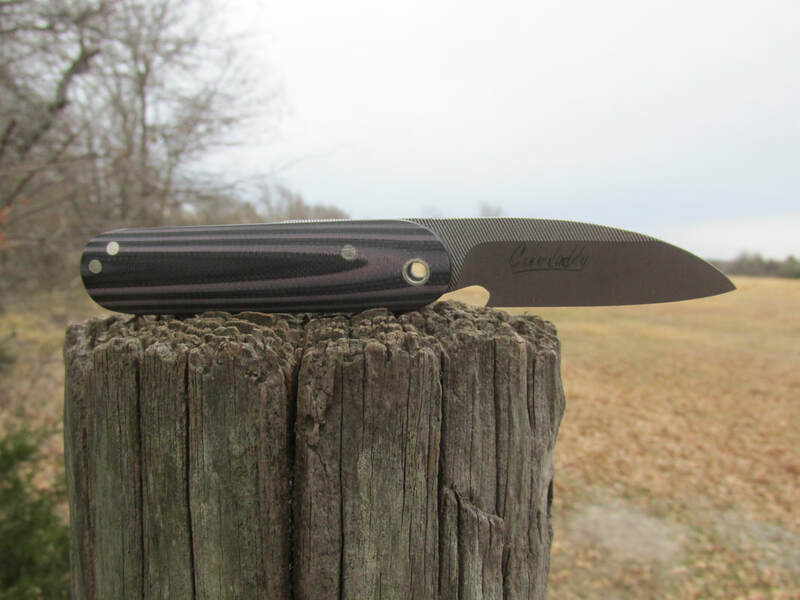 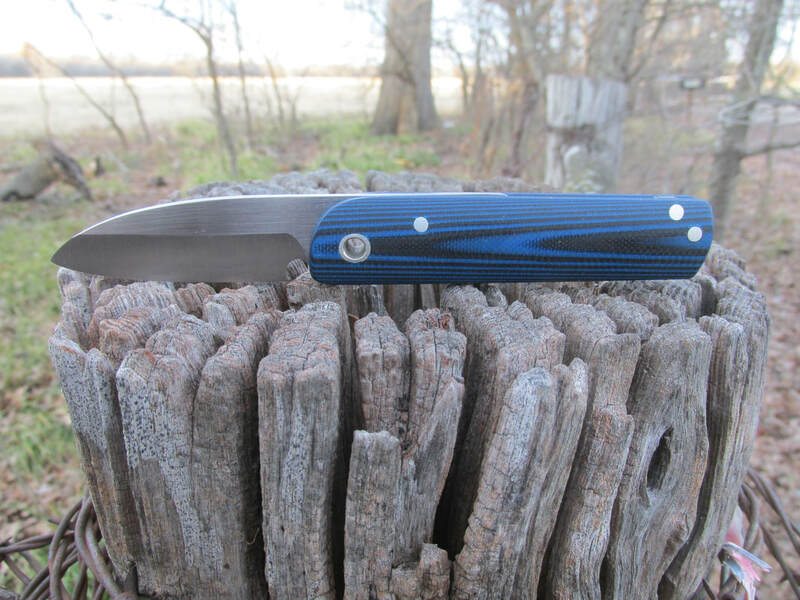 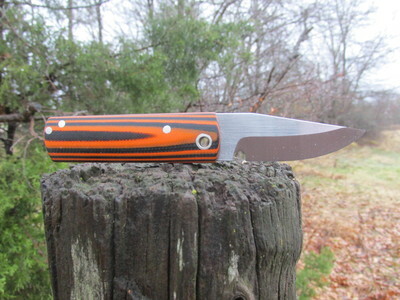 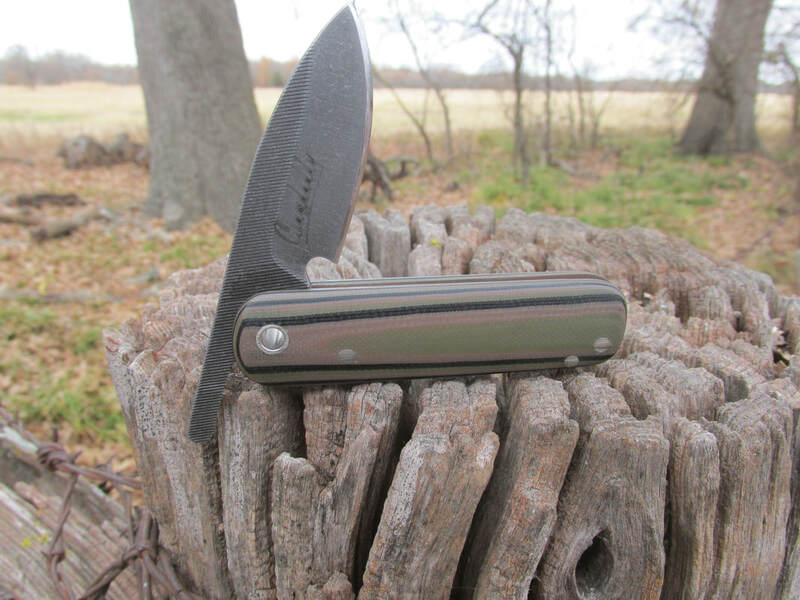 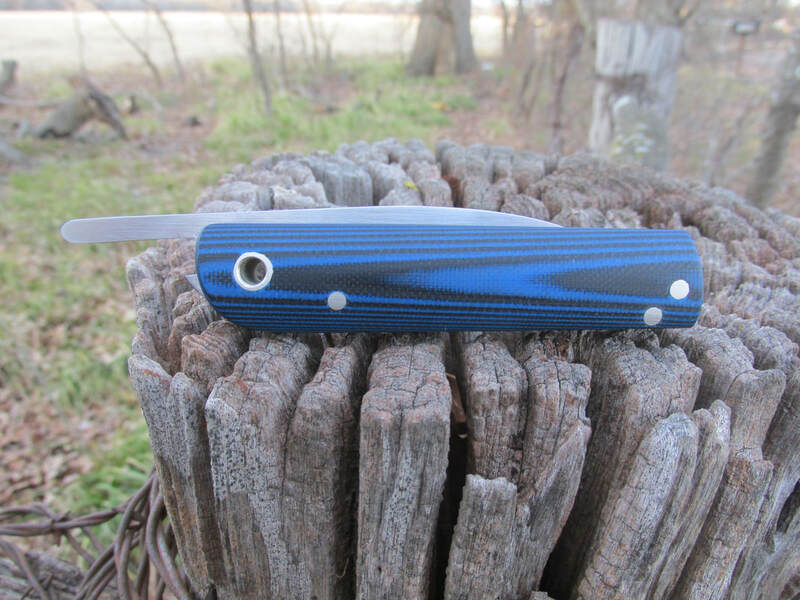 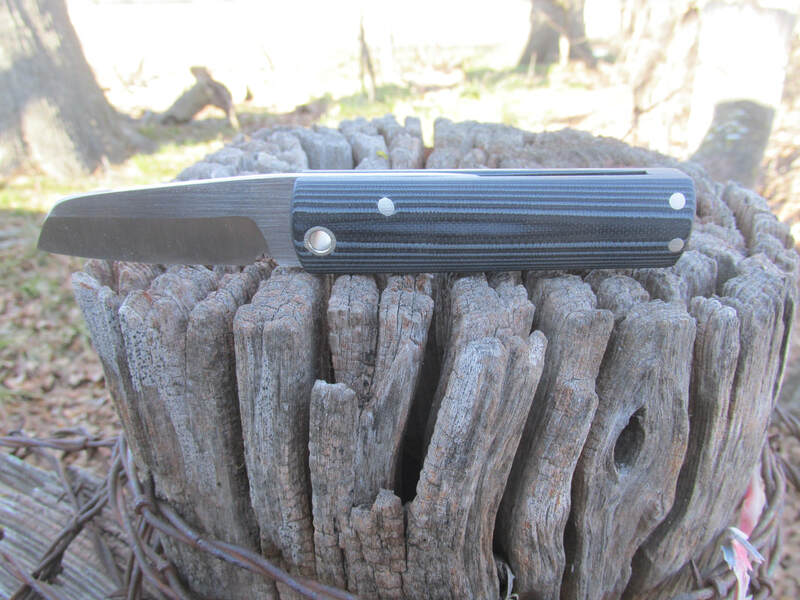 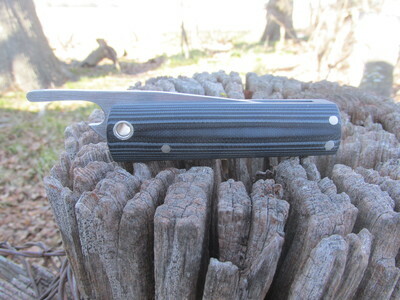 Hello and welcome to my friction folder page. 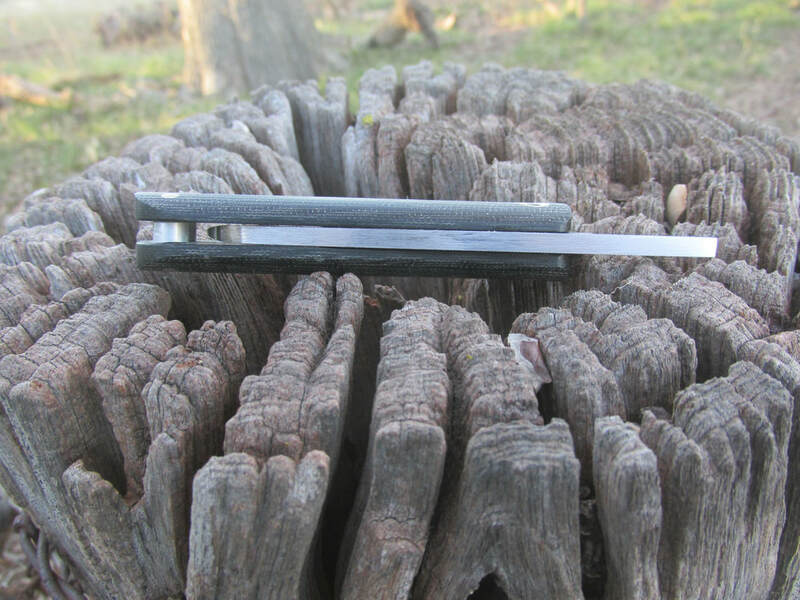 The history books tell us the ancient Romans were the first to develop a folding knife, some 2000 years ago. They would keep them in their possibles bag so they could cut up there meat at supper and do their edc type tasks of the day. 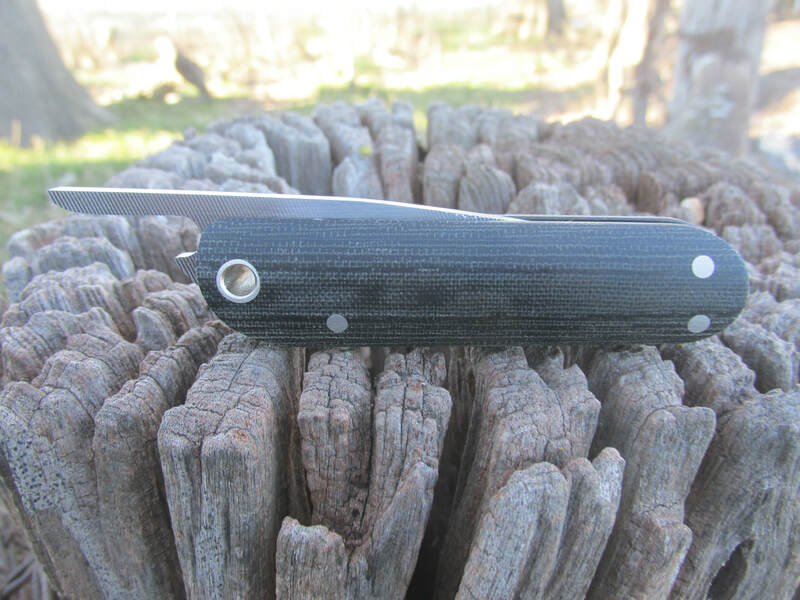 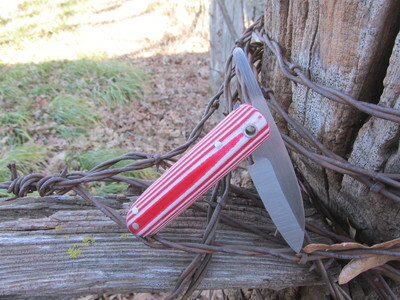 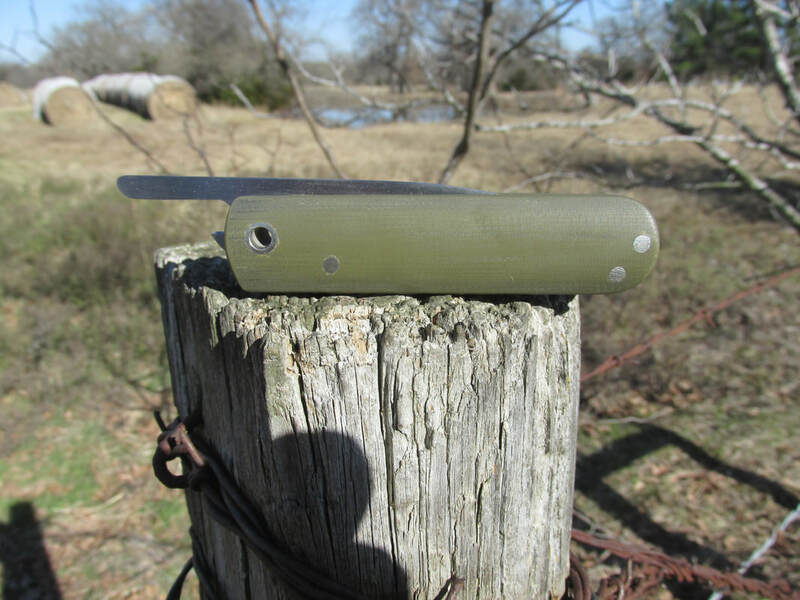 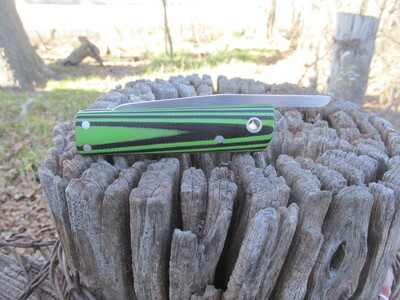 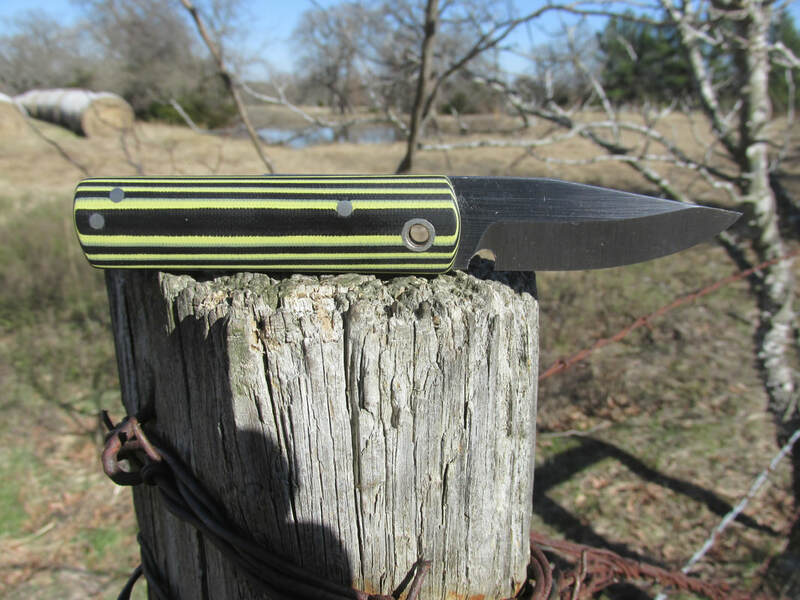 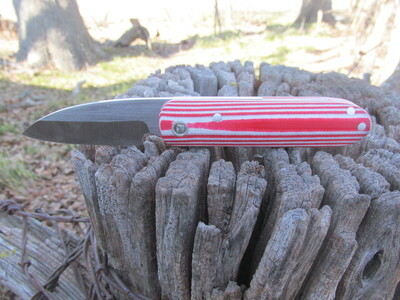 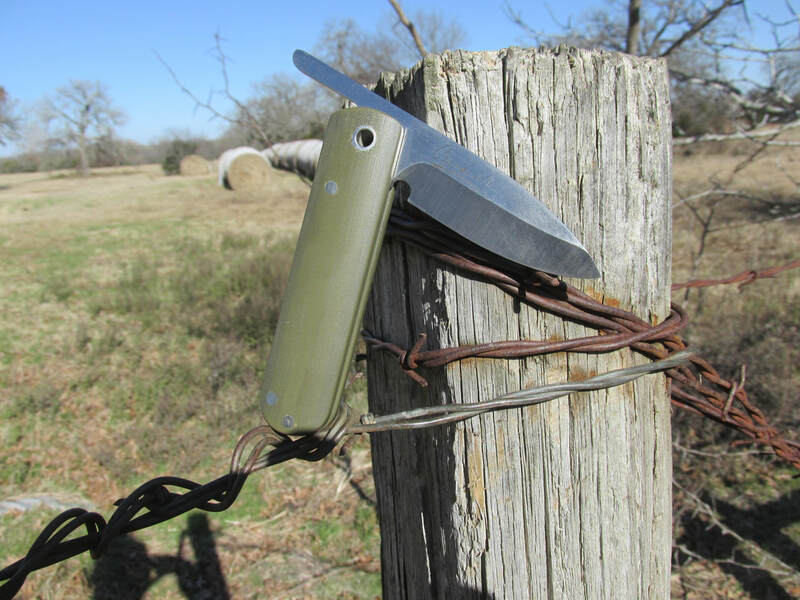 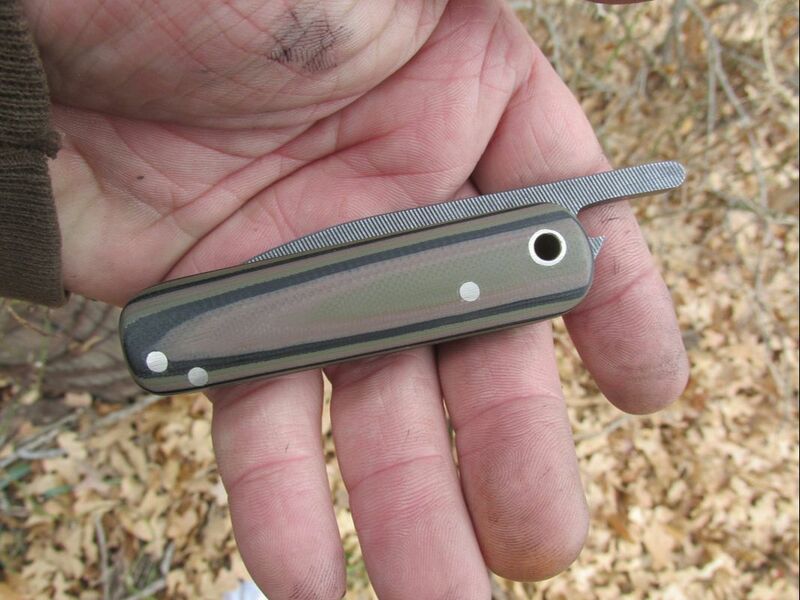 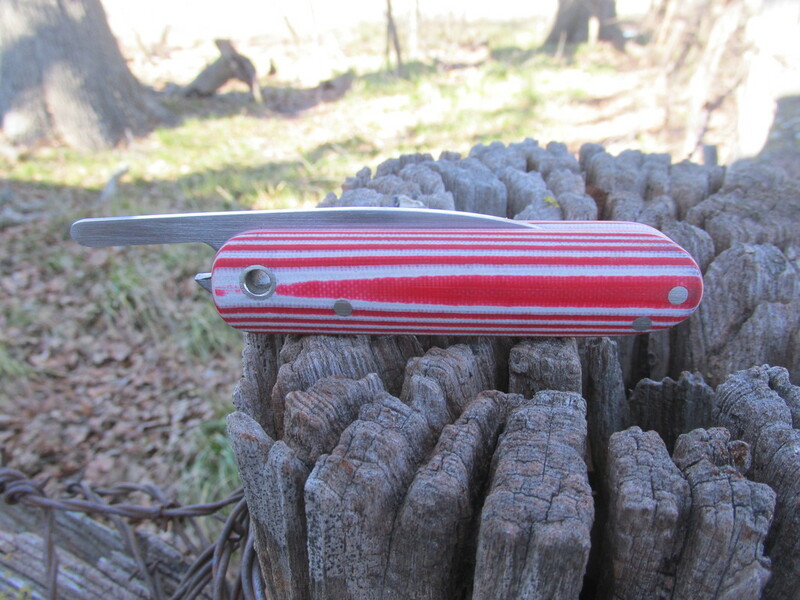 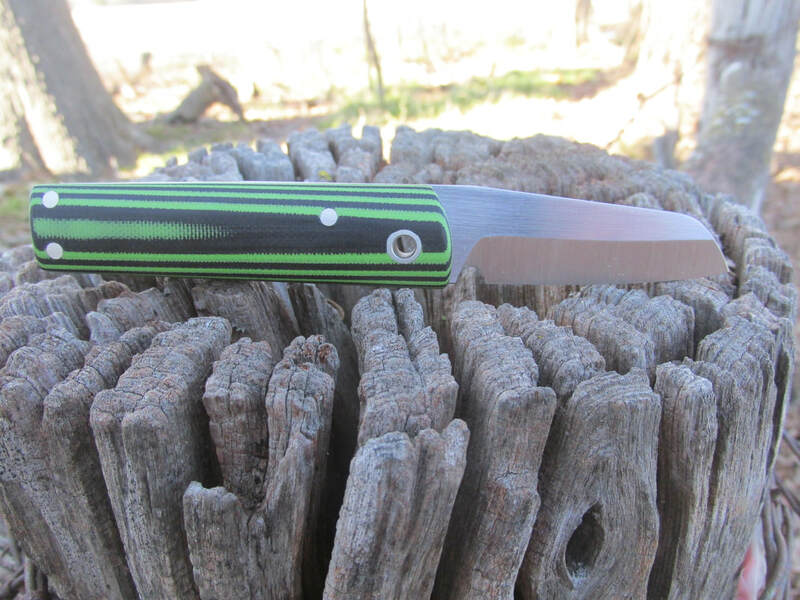 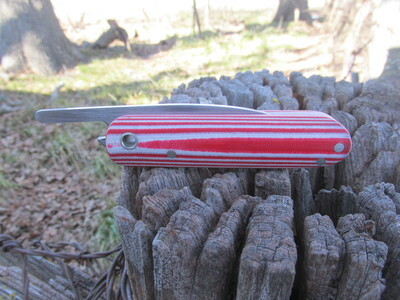 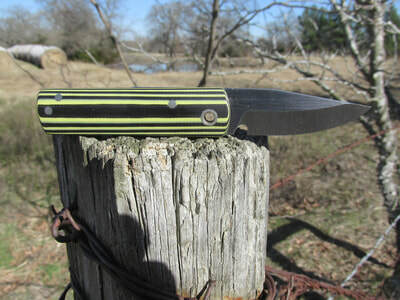 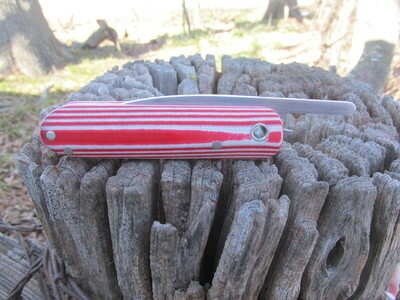 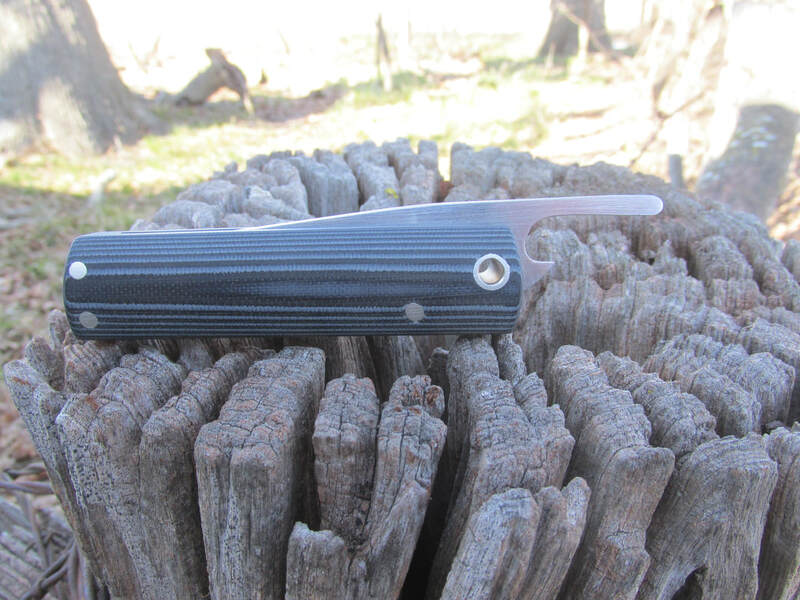 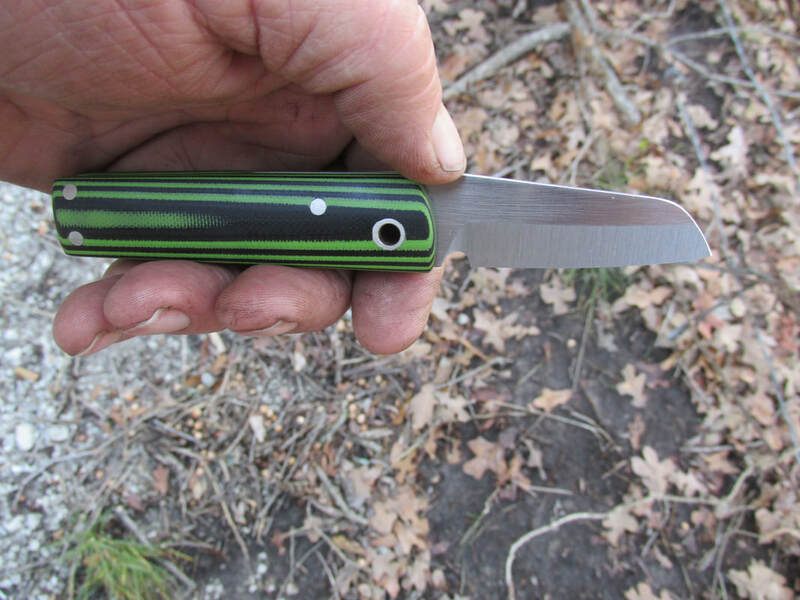 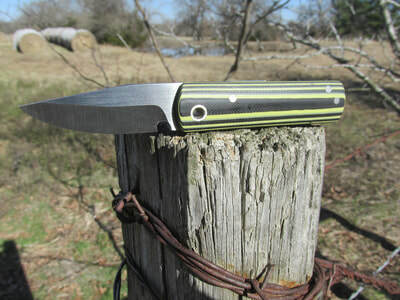 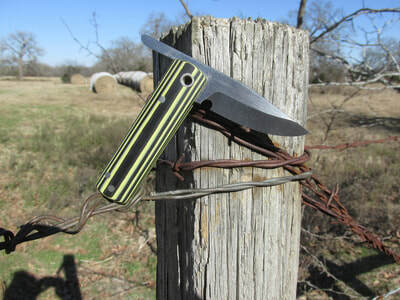 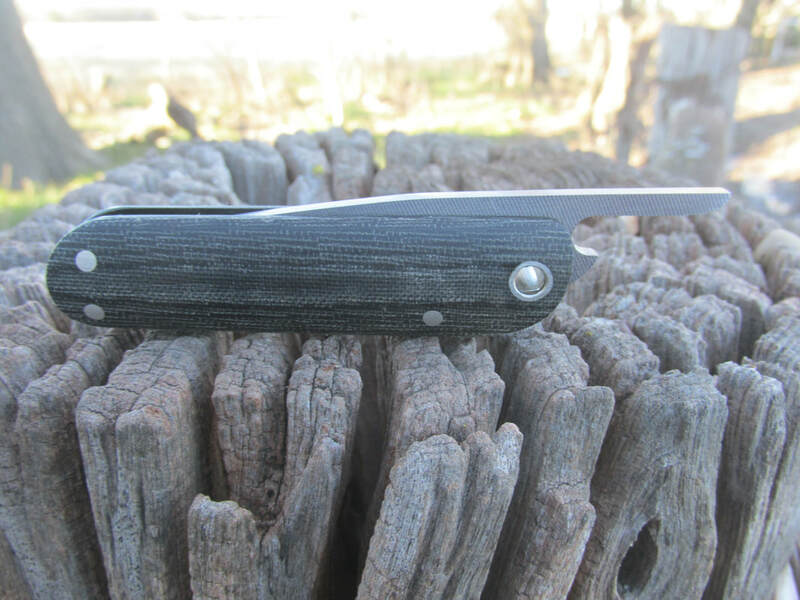 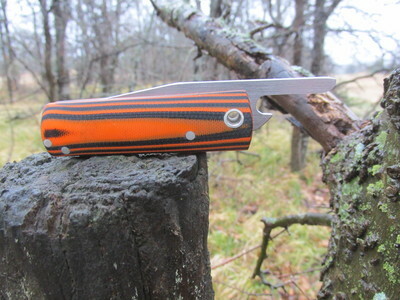 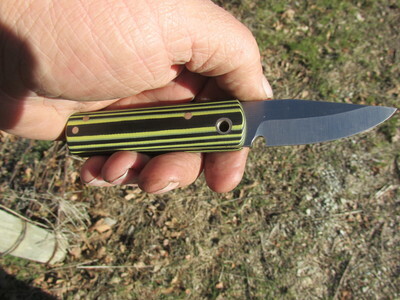 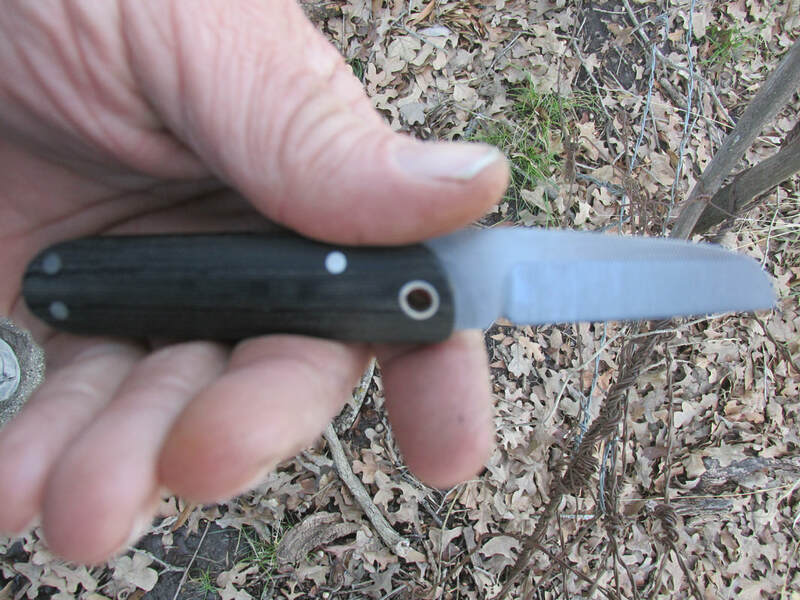 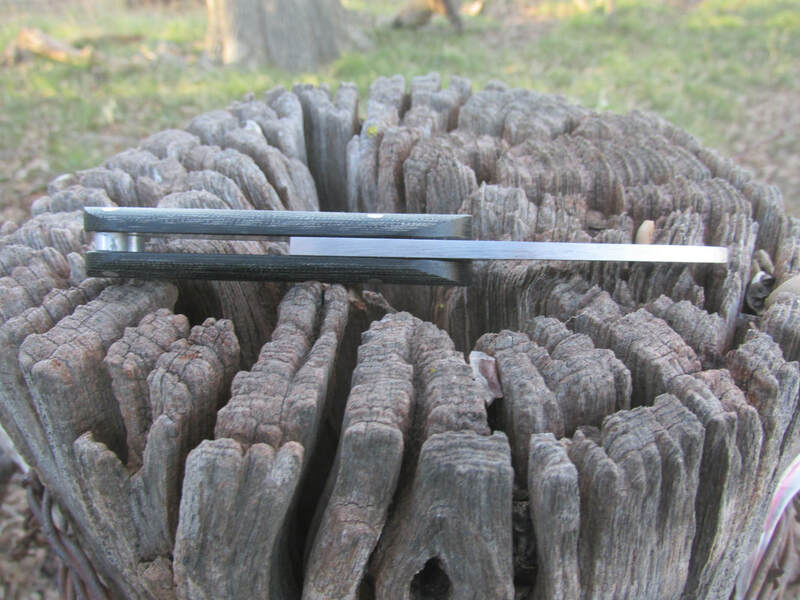 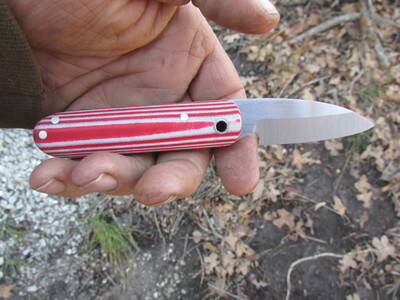 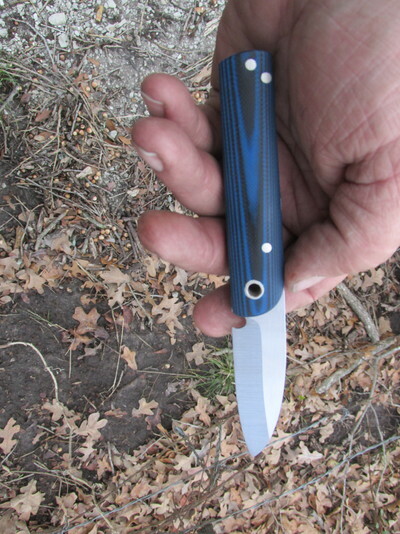 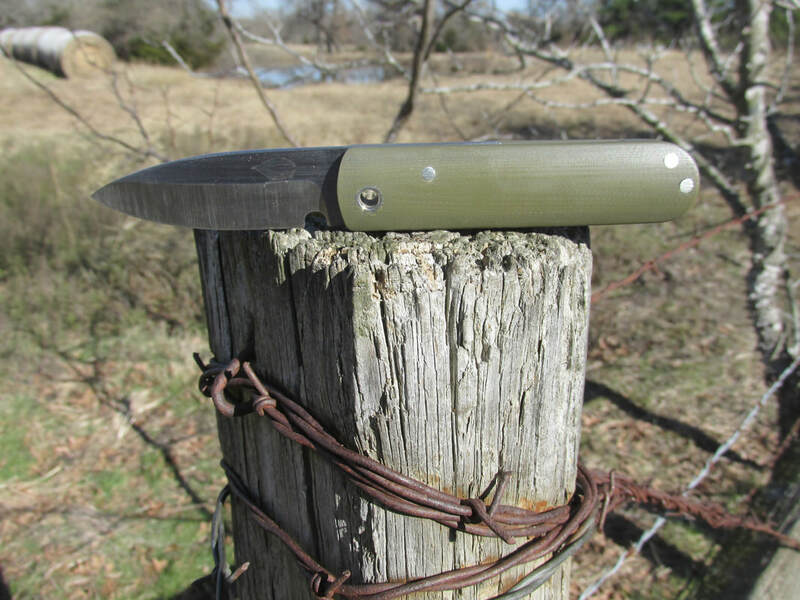 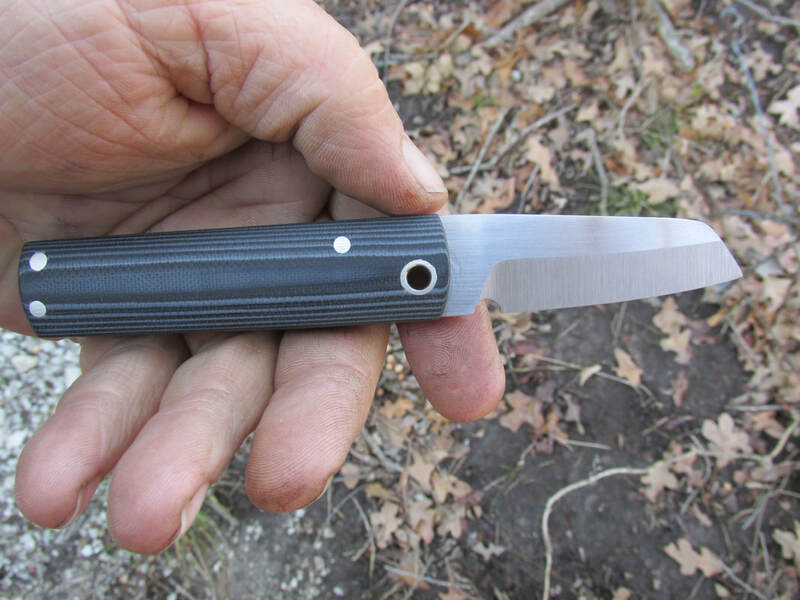 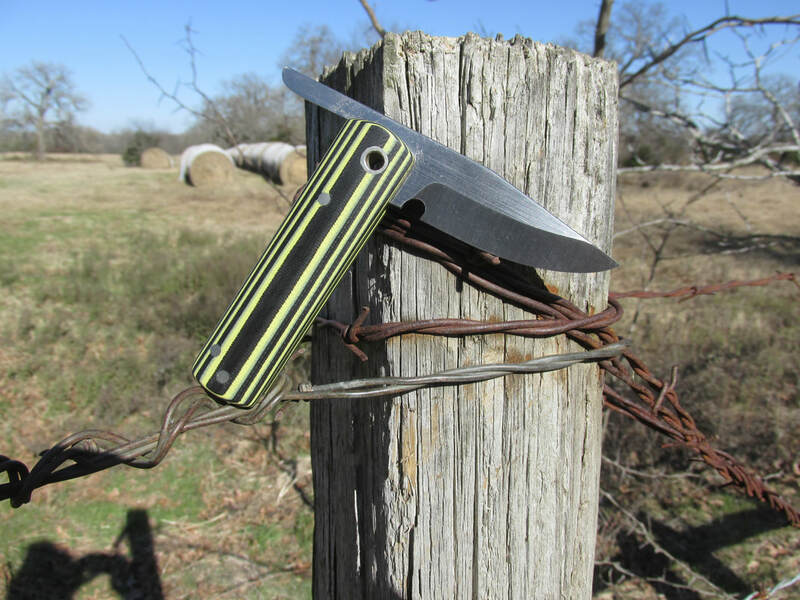 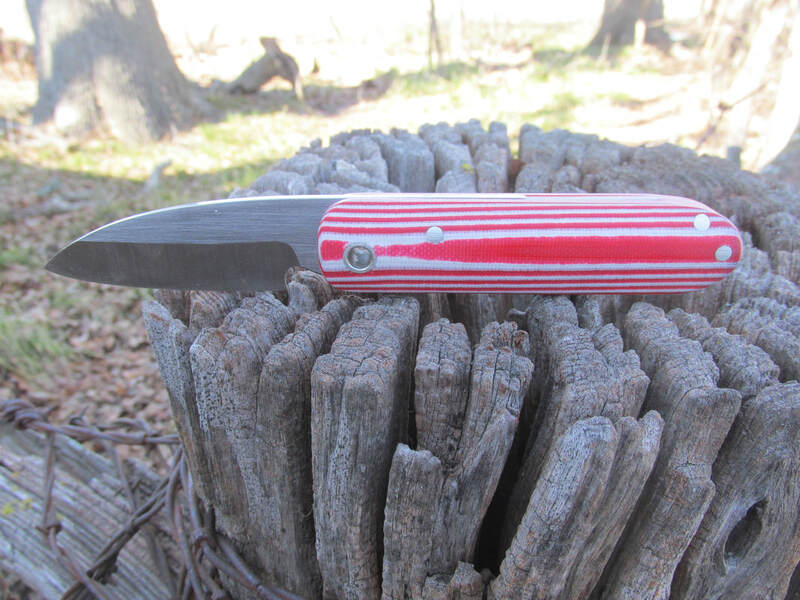 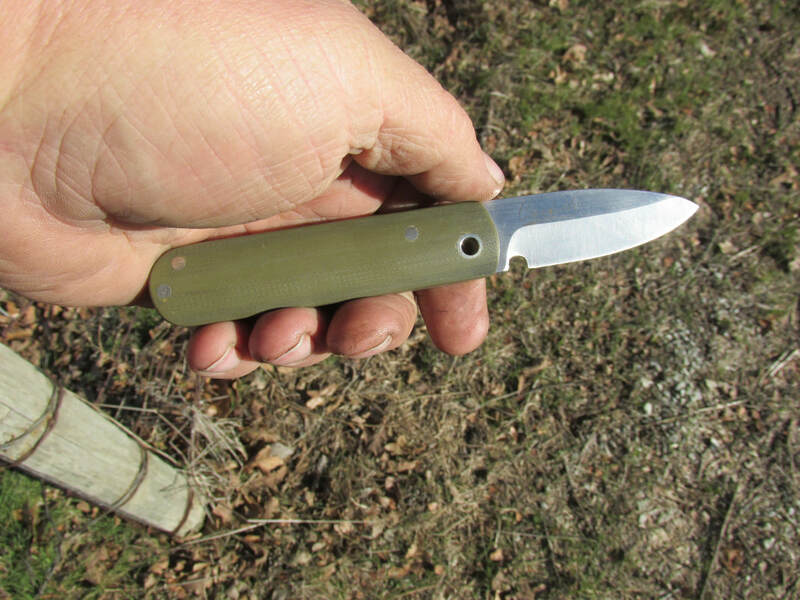 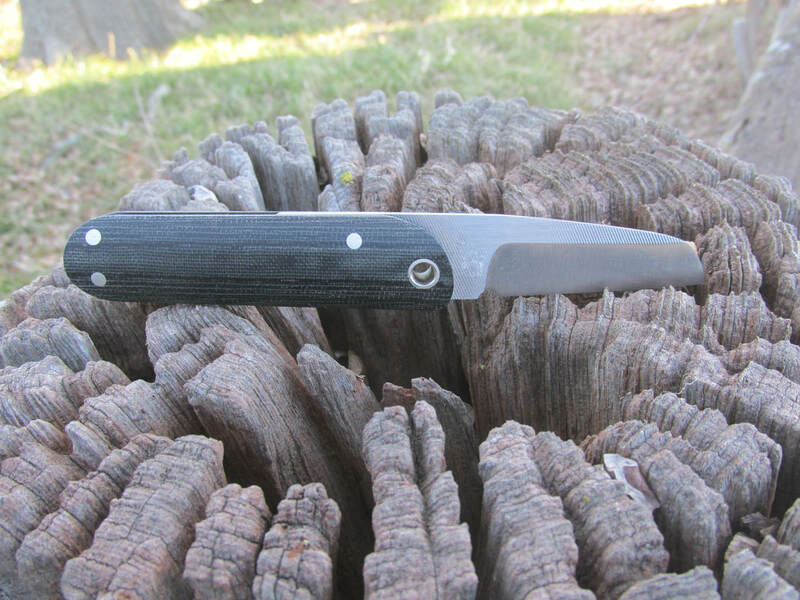 Today we call these knives friction folders. 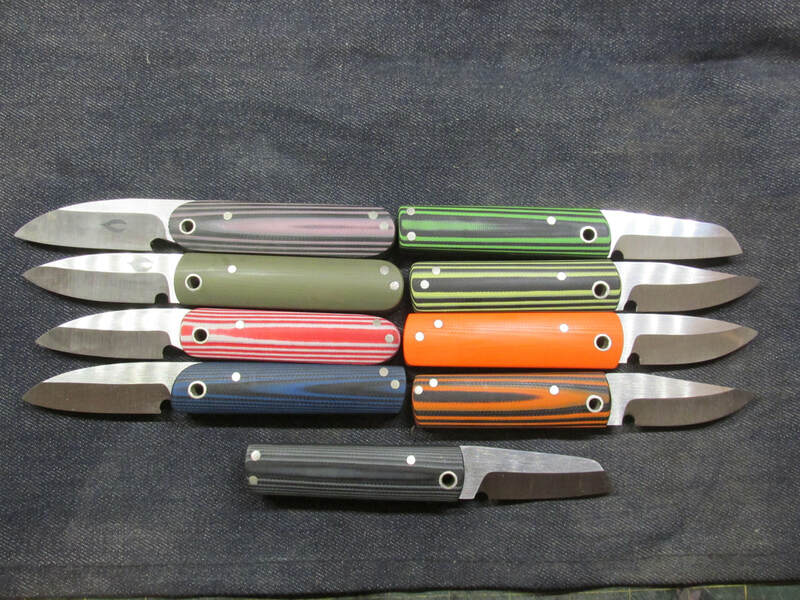 These are some of my versions of that concept. 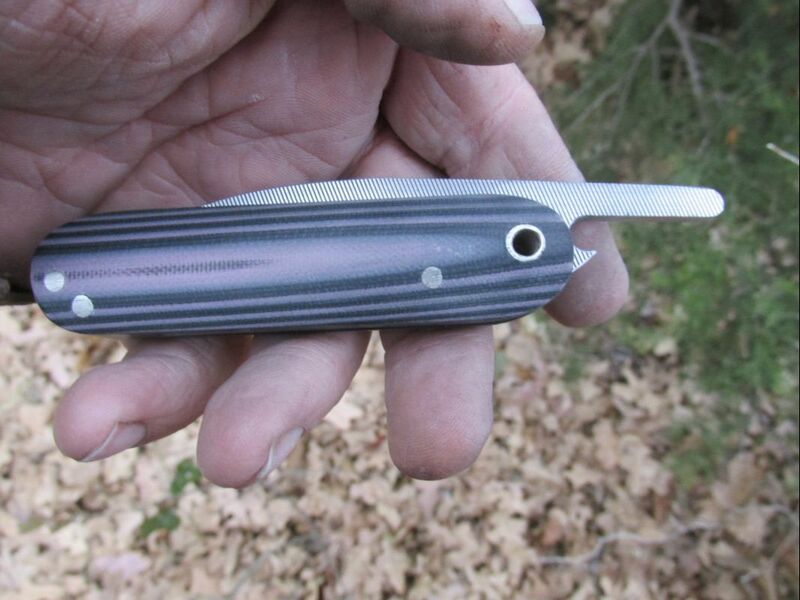 Each one will be different Because I make each one by hand, sorry no laser guided cnc gadgets here. 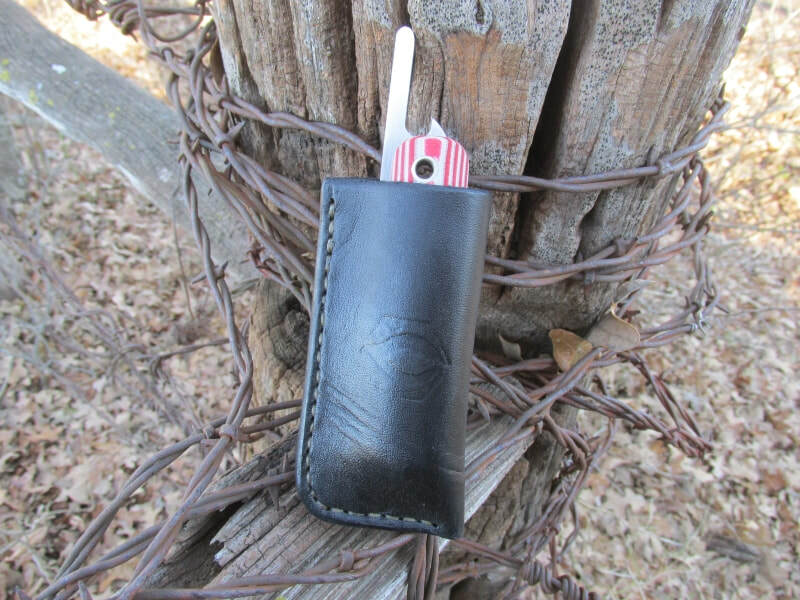 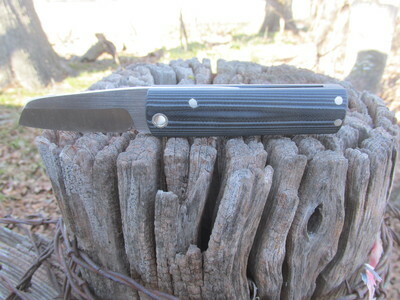 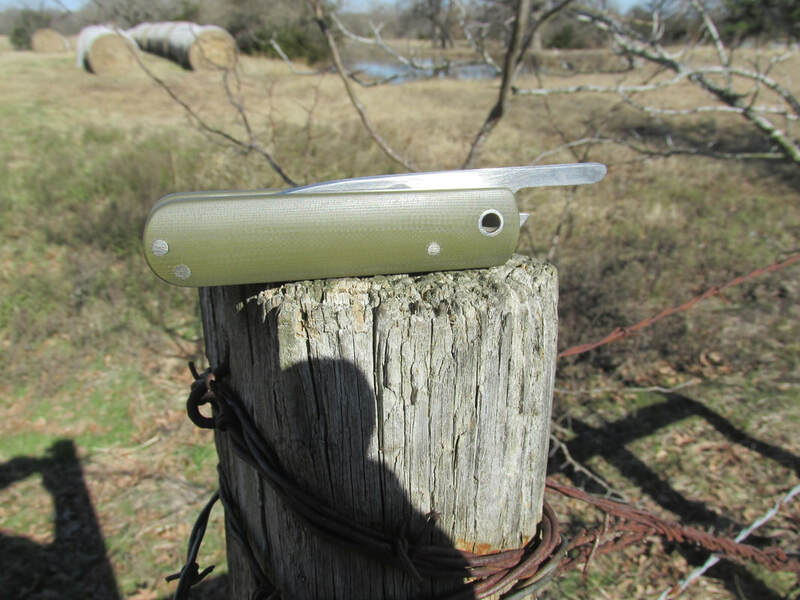 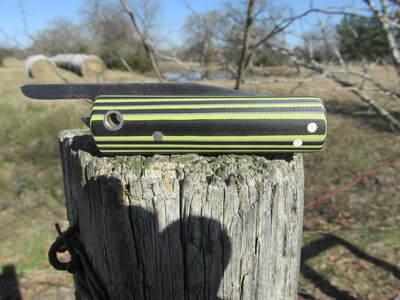 prices start at 145 with a leather sheath. 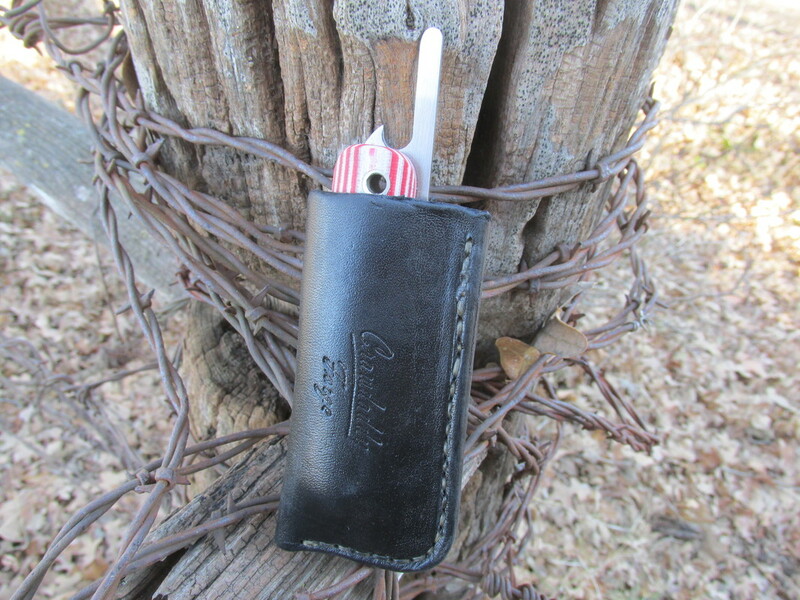 For the leather sheaths you have the option of no belt loop for pocket carry, a small loop that you can run a lanyard through for neck knife carry, or regular size loop for belt carry. 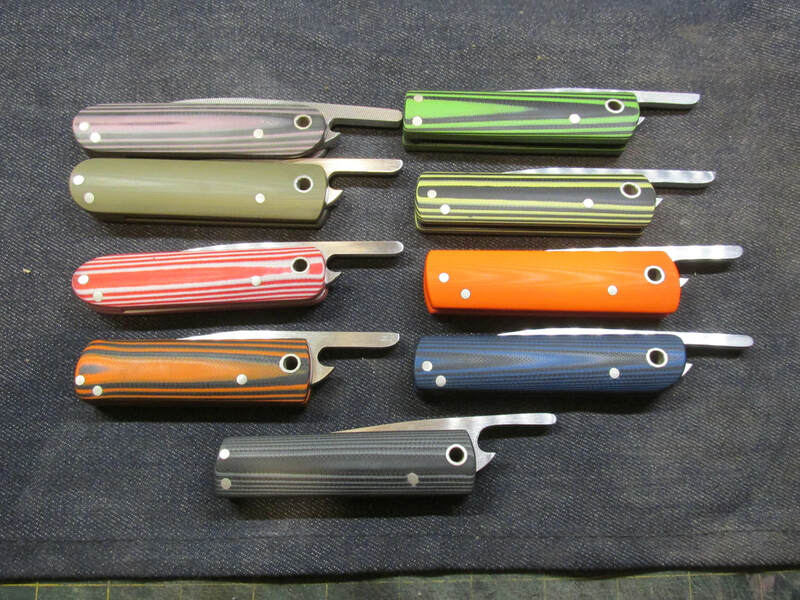 handle material is G10, please go to the bottom of the handle materials page to select the color you'd like.